Alexandria, Virginia is an interesting place to explore. There are a variety of fun tours of Alexandria available including cruises on the Potomac River, horse-drawn carriage rides, ghost tours, and historic walking tours. You can also take your own walking tour of Alexandria, but a guided tour will give you some expert insight into the history of this fascinating historic town. Tours meet at the Ramsay House Visitors Center, 221 King St., Alexandria, VA (703) 519-1749. 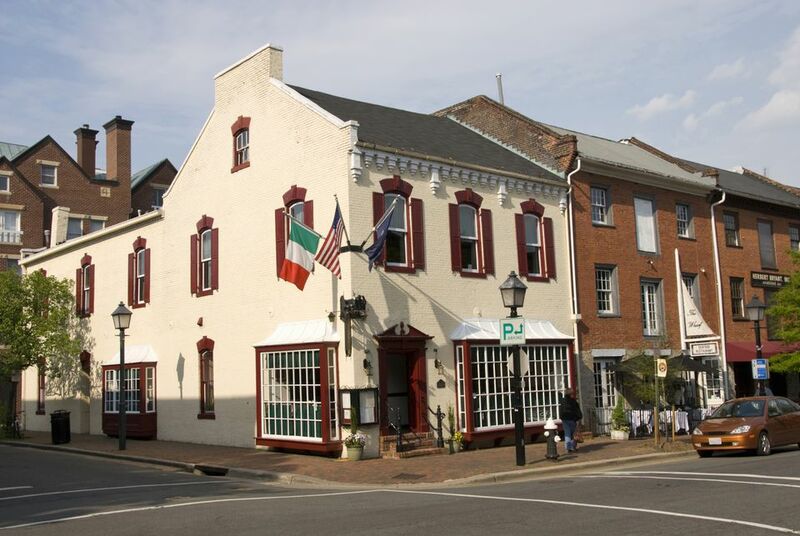 Alexandria History Tour - A walking tour that leads you in the footsteps of George Washington and Robert E. Lee, detailing local history from Colonial times up through the Civil War. African-American History Tour - A walking tour that leads you from slavery to freedom, exploring the history of African Americans. Tours meet at the Ramsay House Visitors Center, 221 King St., Alexandria, VA (703) 683-3451. Historic walking tours are available from Monday through Saturday at 1:30 p.m. Civil War tours are by appointment only. Sightseeing van service is offered to Mount Vernon, Woodlawn/Pope-Leighey, and Gunston Hall. Tours meet at the gardens at the Ramsay House Visitors Center, 221 King St., Alexandria, VA (703) 836-6553. Provides step-on bus guides or a guided walking historical tour. Tours run from April through November and depart Monday through Saturday at 10:30 a.m., and Sunday at 2:00 p.m.
Tours meet at King St and Fairfax St, City Hall - Market Square, Alexandria, VA (800) 979-3370. This narrated walking tour combines local history with stops to sample foods at unique family owned restaurants. The tour lasts approximately 3.5 hours. Rent a bike and cruise the George Washington Parkway to Gravelly Point or ride along the Potomac River to tour Historic Mount Vernon. Alexandria City Marina, Cameron and Union Streets, Alexandria, VA (703) 684-0580. Monuments Tour From Alexandria - A 90-minute, round-trip tour along the Potomac River to see famous monuments such as the Thomas Jefferson Memorial, the John F. Kennedy Center for the Performing Arts, and the Washington Monument. Mount Vernon Cruise - Cruise from Old Town Alexandria to George Washington's Mount Vernon Estate (50 minutes each way). Once you arrive at Mount Vernon, you will have four hours to explore the Estate. Canine Cruises on the Potomac - A 45-minute local favorite with or without a four-legged friend. The tour cruises around the Alexandria Seaport. Tours meet at Ramsay House Visitors Center, 221 King St., Alexandria, VA (703) 519-1749. Alexandria's Original Ghost and Graveyard Tour - Hear ghost stories, legends, and folklore on this guided walking tour by lantern light. Tours are offered mid March through mid November on Weds., Thurs, and Sun. at 7:30 p.m.; Fri. and Sat. tours are at 7:30 and 9:00 p.m.
Tours meet at Ramsay House Visitors Center, 221 King St., Alexandria, VA (703) 683-3451. Historical Haunts Tour - An entertaining ghost and historical tour for the believers and skeptics alike. Tours run April through November. Tours are offered on Fridays and Saturdays at 7:00 p.m. and 8:30 p.m. during spring and fall, with additional Wednesday and Thursday tours offered in the summer.